Round Dancing is basically choreographed ballroom or couple dancing, with all couples dancing the same figures around the floor at the same time, similar to a formation dance team or to sequence dancing. Over the last 50+ years, thousands of routines have been choreographed to match specific music in almost every dance style imaginable. A routine done to a specific piece of music in Colorado USA is almost always the same routine you would do to that music in Japan or any other place worldwide at the same level of difficulty. This formation-team type of dancing eliminates the traffic-jam feeling that you sometimes get while free-form ballroom dancing. Dancers are able to concentrate more on how they are executing figures and dancing as one coherent unit as opposed to trying to think about which figure or pattern to do next. Dancers rely on an instructor to guide them through the figures in each routine, thereby eliminating the need to memorize. In an average evening session a couple typically dances 20-60 different routines. Another distinguishing characteristic of Round Dancing is the use of a "cuer." Since there are far too many routines to memorize, a cuer calls out the name of each figure in the routine just before it is to be executed. If you have a memory lapse or are unfamiliar with a particular routine or figure, you can continue progressing with the dance flow until you get to a spot or a figure that you recognize. Round Dancers learn from day 1 to associate each foot pattern with the figure name. This makes it easier to teach future routines since the dancer has a repertoire of figures at their fingertips (okay ‘foottips’). The average dancer has a repitoire of hundreds of routines and will typically dance 20-60 of these routines during the average evening. Clubs and classes, in addition to putting on known routines, will also typically teach part or all of a new routine or work on figures each evening. This is not to say that Round Dancing is better than conventional ballroom. Rather, the two complement each other. 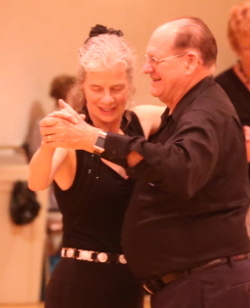 Round Dancing helps you strengthen your basic repertoire of ballroom figures and permits you to do some figures that you would not dare to try at a conventional ballroom dance. We find that each type of dancing reinforces the other and leads to greater enjoyment of dancing in general. There are 6 levels of Round Dancing called phases. Phases 1 & 2 are "easy level" and include two step (similar to a type of country western dancing) and waltz (bronze figures - enough to dance at your daughter's wedding & elsewhere -- the basics). Phase 3 & 4 are the intermediate levels (bronze & silver figures) and include additional waltz figures, in addition to introductions to other rhythms in the International & American styles. Rhythms include: foxtrot, quickstep (similar to Arthur Murray foxtrot), International tango, American tango, Argentine tango, cha, rumba, bolero, mambo, jive, swing, west coast swing, samba, paso doble, slow two step (also called night-club two step), and others. Phase 5 & 6 (gold, star, & above figures) take dancers into the upper levels of dancing, including most of the figures you see at ballroom competitions. 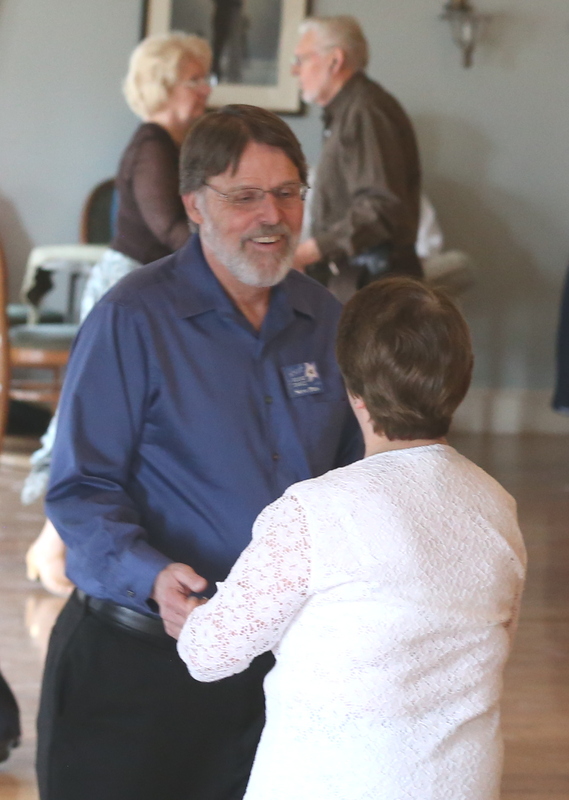 At the upper levels, many of the Round Dance instructors are trained by some of the best International & American ballroom teachers/competitors in the world. On our links page, you can learn more about just what round dancing is and the history of dance in general. There are many sources to help you find where you can dance and where there are teachers to help you learn more. 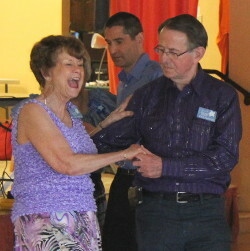 Several manuals, technique books & videotapes have been created by round-dance organizations and individuals around the world, and the cue sheets for individual dances are readily available. There are many sources for good dance music and for dance shoes. You need to have a good pair of dance shoes. 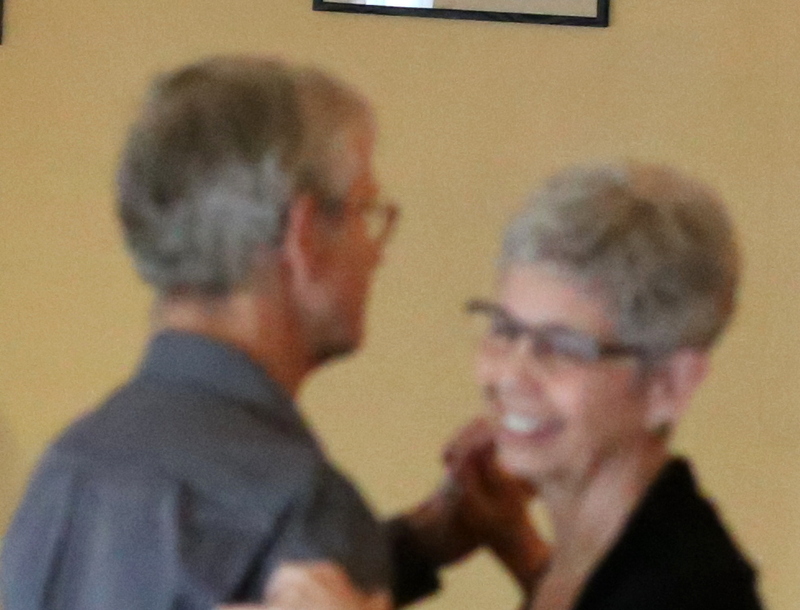 Round Dancing is good exercise and provides a relatively inexpensive evening's entertainment: the price for a typical club dance is about $10-$15 per couple for 1-1/2 to 3 hours. In addition, the social camaraderie should not be overlooked. Round Dancers tend to be extremely friendly, sociable, and helpful people. Round Dance clubs & classes can be found in and around every major city in the United States & Canada, as well as many cities in Europe & Asia (especially Japan). There are also many weekend & week-long Round Dance festivals and conventions offered almost every week of the year. Many of these can be found in the DIXIE, ICBDA, and ROUNDALAB, Dance - Round Out Your Life websites & newsletters, and through local and international Round Dance organizations. Colorado is very lucky to have a strong Round Dance organization, CRDA, and therefore a large number of Round Dance CLUBS & CLASSES and EVENTS. 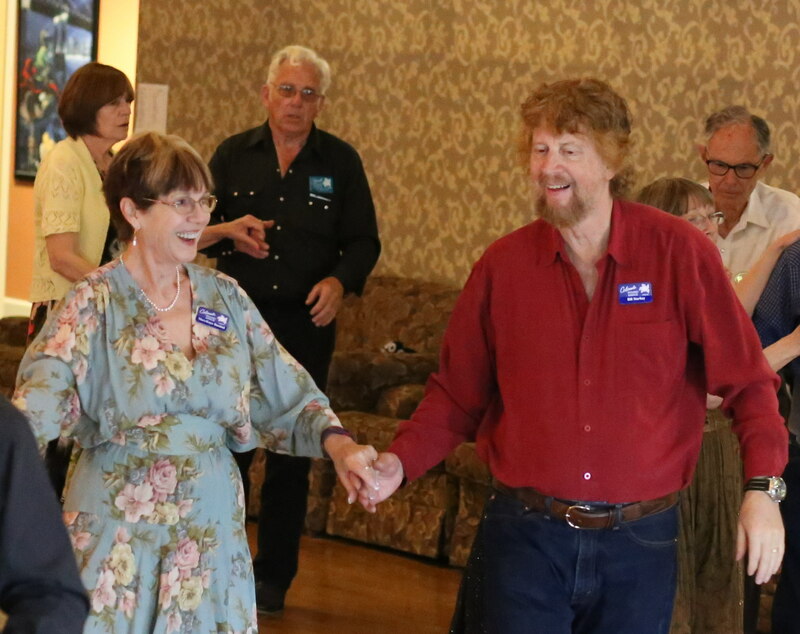 JOIN US and make Round Dancing in Colorado even better!